Hey there! (: I chose my own topic for Day 4 because I didn't really have much to write for the original challenge to be honest! xD. So without further ado I'm going to show what and who inspires me to do Gal! I think its great to draw inspirations not only from people but places, objects and even cartoon characters and to save them into a large folder. Not only am I inspired by Japanese Gyaru's but also Gaijin gals to view different co-ordinates and people's different takes on it from a foreigner's perspective and the resources they have in their country. 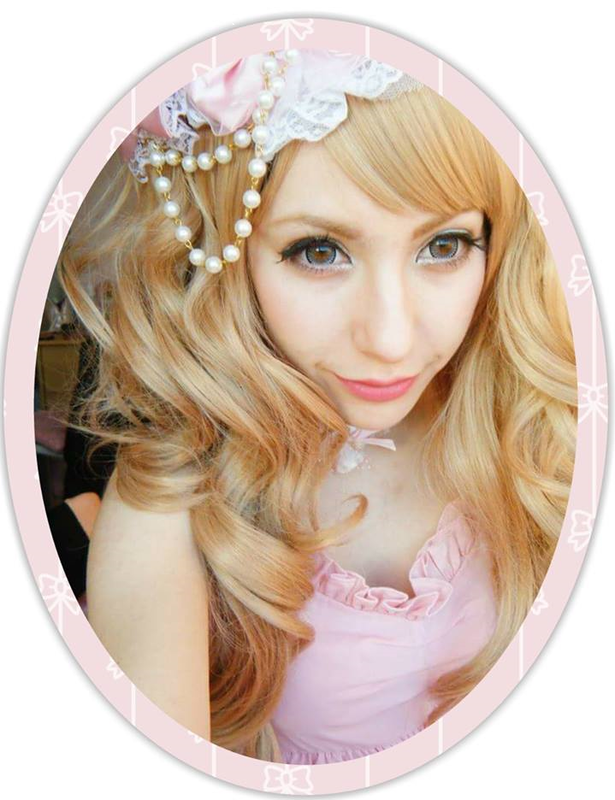 Although her style is not strictly Gal I love to combine RinaLee's pastel palette in with my Gyaru make-up. I think as long as the hair and make-up is Gyaru you can pretty much wear anything! I will always have a love for pastels as Fairy Kei was one of the first Japanese fashion styles I really paid a lot of interest in. Her aesthetic has a more mature edge to it than fairy kei and I adore how she combines lace and chiffon materials giving it a lighter, summery feel. Another great inspiration of mine that also uses pastels is Saaya Hayashida the producer of Swankiss! I'm really unsure where the style of the brand fits in terms of fashion sub cultures. The store is in Shibuya 109 which is where most Gal brand stores are located and Liz Lisa is technically classed as gal so I am going to associate Swankiss with Gyaru as well. What draws me to Saaya's style is how she styles her hair, make-up and accessories. There's always so much to observe and take inspiration from and Swankiss is quite a creative brand which can be combined well with offbrand items as well. I'm sorry but I looked everywhere and couldn't find her last name, but Himeko is a shop girl and model for Hime Gyaru brand - La Pafait. I really love how simple her coords are and her accessories aren't too over powering. Since there is already a lot of bows and lace on hime Gyaru dresses, sometimes the accessories can over power the details in the outfit. I like the balance Himeko creates and that she manages to pull off short but volumous hair which is unusual for this style! She has recently been trying some Hime and Swankiss looks and again, she pulls it off so well. I have already done a blog post about how Rulu An's style inspires me - I feel that Kurogal has a very edgy and dark aesthetic but I love how feminine she makes the style look. Rulu is a Chinese Gyaru model for a taobao store selling gal items. Her hair and make-up is always on point and her coordinates remind me of why I wanted to wear Kurogal more often, I think she pulls it off beautifully. I like Himeko's style too. ♥ I think her last name is Kondo but i'm not really sure..